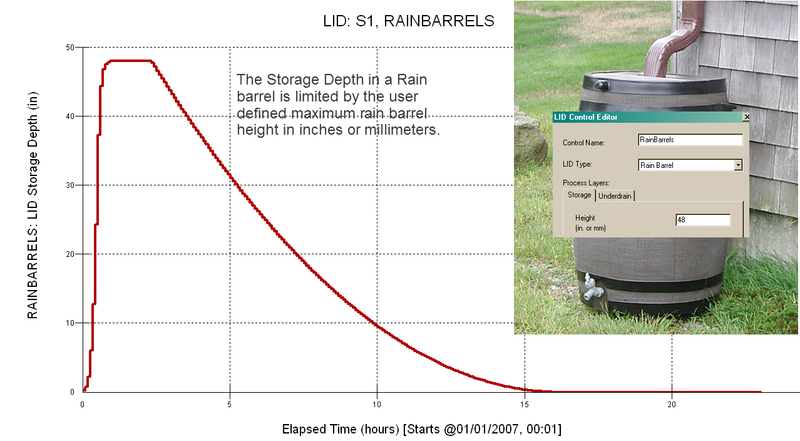 The ability to model Low Impact Development (LID) is a new feature created by the EPA in SWMM 5.0.022. This discussion will list various features in LID modeling. 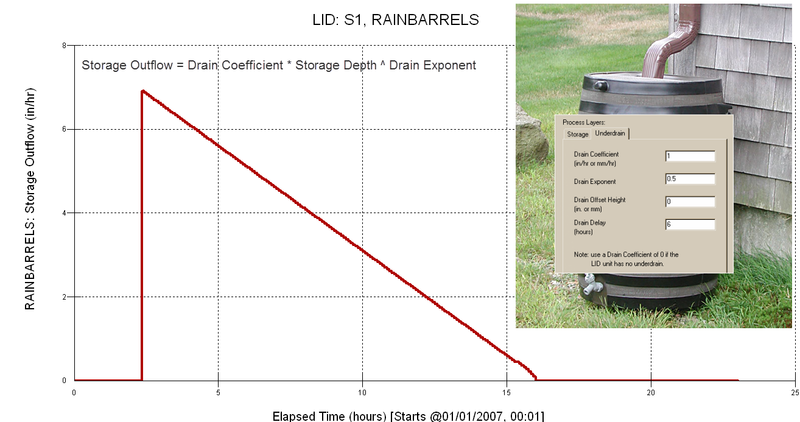 The drain outflow in a Rain Barrel LID is defined by the user defined drain coefficient and drain exponent and the simulation storage depth The storage outflow does not occur until it has been dry for at least the drain delay time in hours. Figure 2. 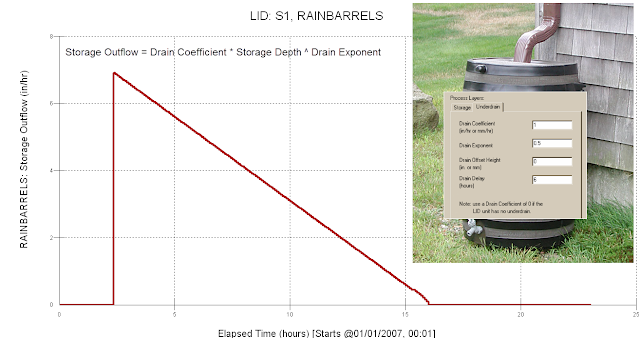 You can see the effect of the Drain Delay in the output file for LID Simulation.